ModNation Racers: Road Trip is arguably the most unsurprising offering out of Sony’s 1st party Vita games, not that I’m complaining. 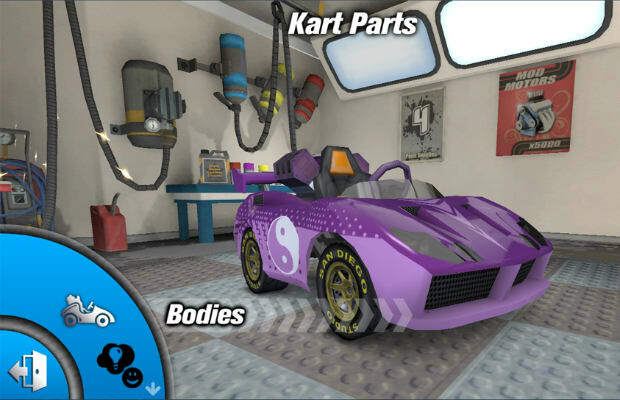 Although this is only the third title in the series, ModNation Racers has gained a respectably sized, loyal following of users with a penchant for generated content. This Vita sequel continues this trend by featuring backwards compatibility that’ll let you bring over your favorite parts from the previous games. When you’re in this Vita-enhanced garage, a touch gesture is all it takes to expand your car into its separate parts. How well does the Vita cater to the patented track design tools? Creating the road is just as easy as drawing it with your index finger. Even SixAxis functionality gets involved as objects can now be manipulated with tilt functionality. With this solid focus on user generated content and making the most out of the Vita’s features, the career mode has been stripped down to a series of basic races, devoid of any kind of story like the one in the original ModNation Racers. It’s just as well; it’s not as if Mario Kart ever had a pervasive narrative.